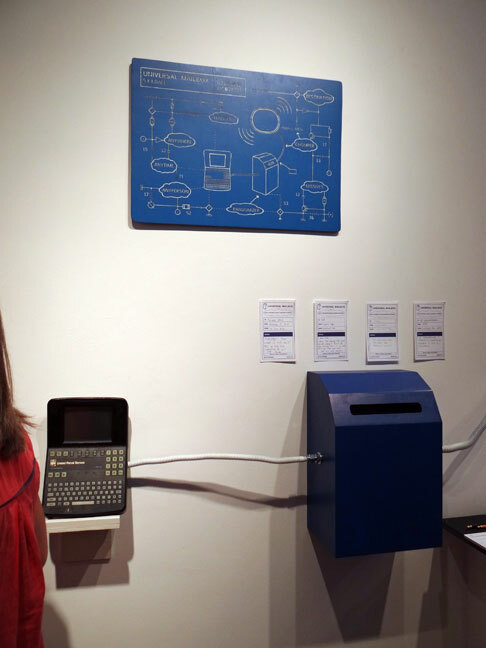 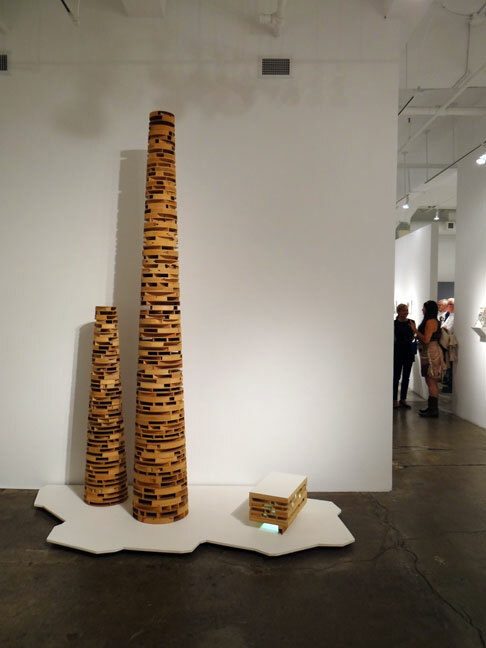 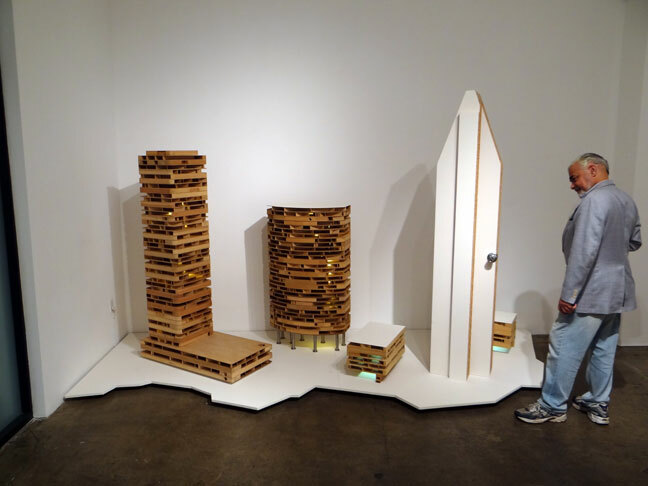 Recology Artist in residence Program Exhibition at 1045 Mission Street. 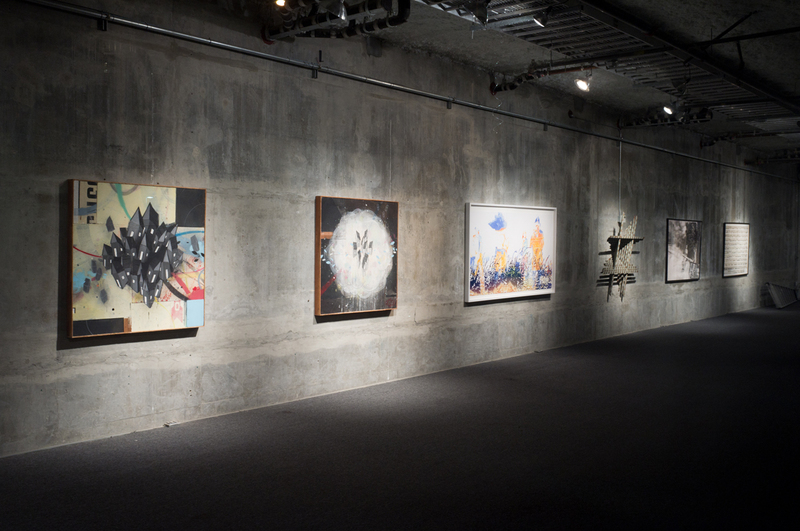 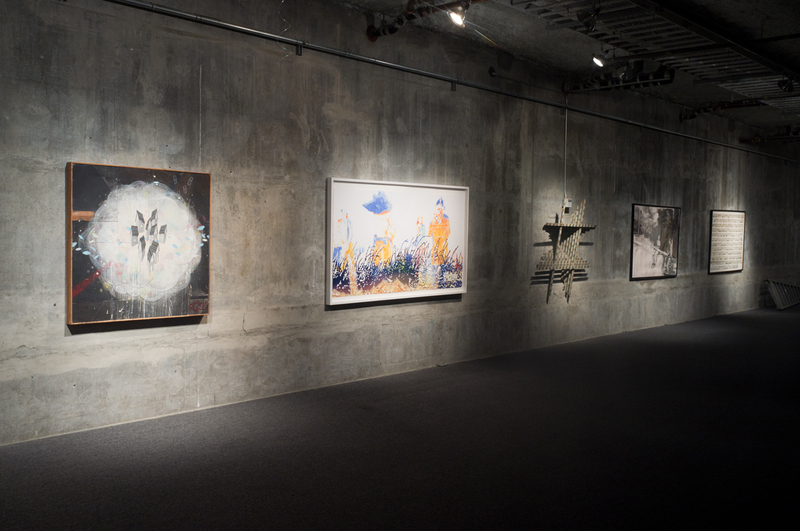 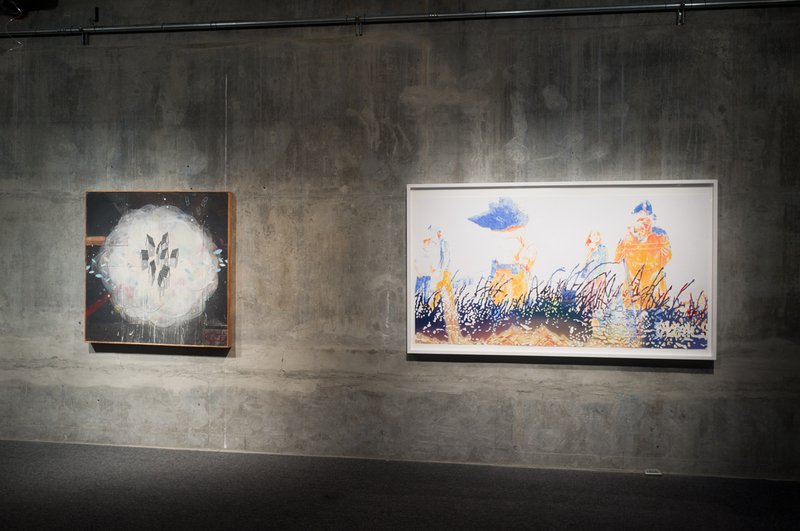 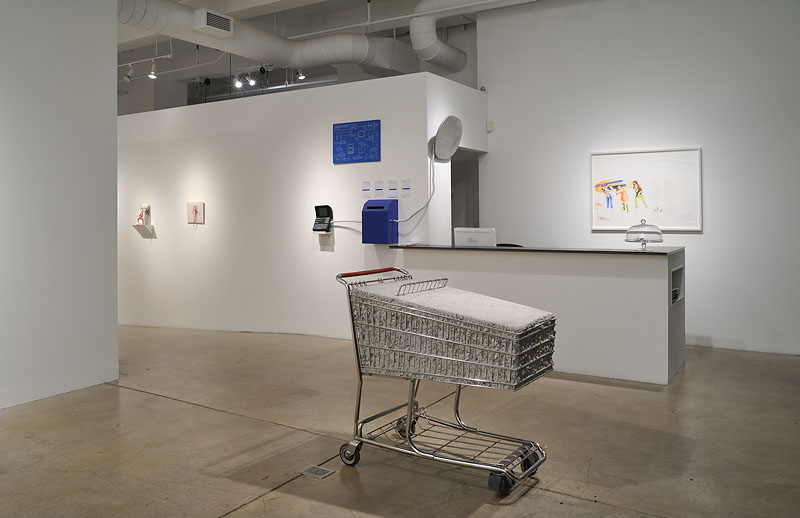 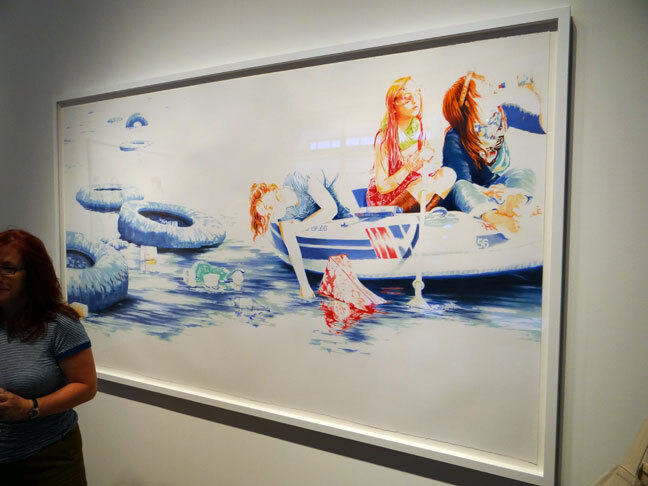 Summer 2012 Exhibition at Catharine Clark Gallery, San Francisco. Barbara Holmes and Donna Anderson Kam. 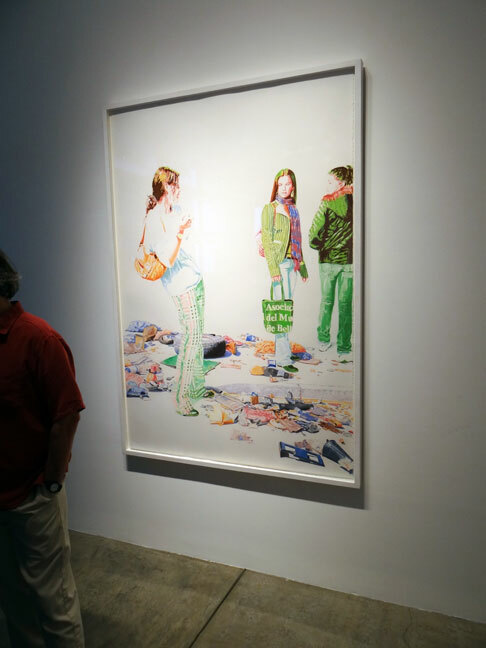 Too much trash art by Donna Anderson Kam. Donna Anderson Kam art at Catharine Clark Gallery. 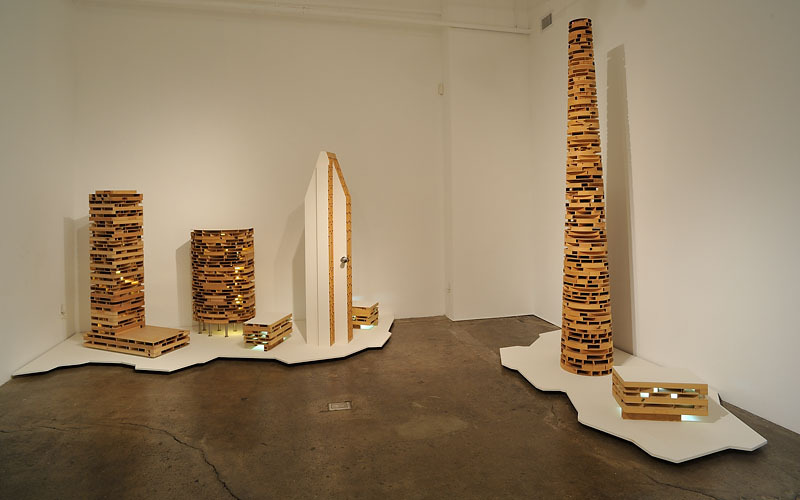 Hollow core door art by Barbara Holmes at Catharine Clark Gallery. Barbara Holmes hollow core door art (nicely done). 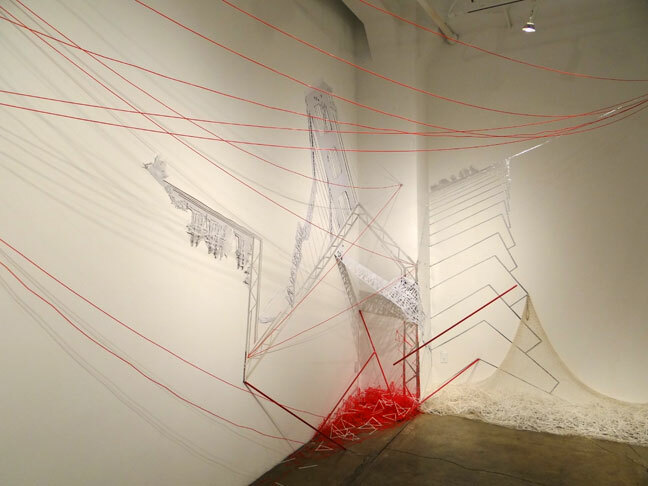 Non-functional contraption art by Scott Kildall. 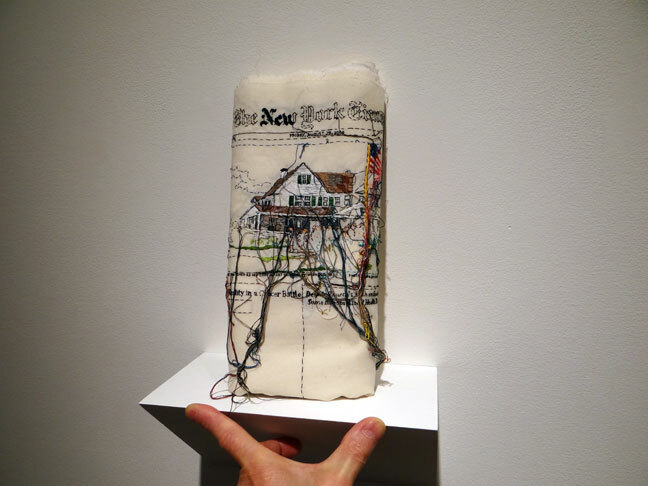 Stitched/sewn art by Lauren DiCioccio at Catharine Clark Gallery. 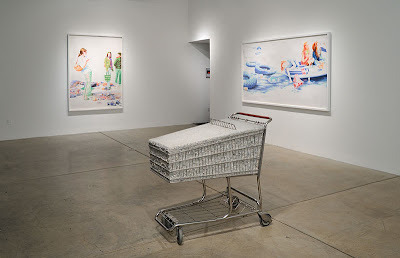 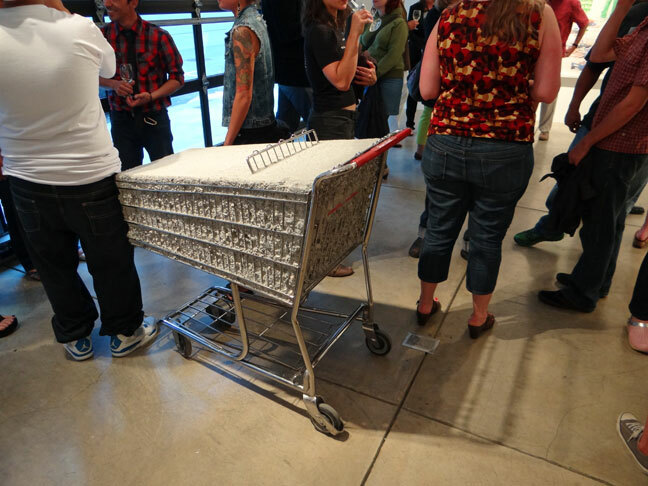 Concrete shopping cart art by Terry Berlier. 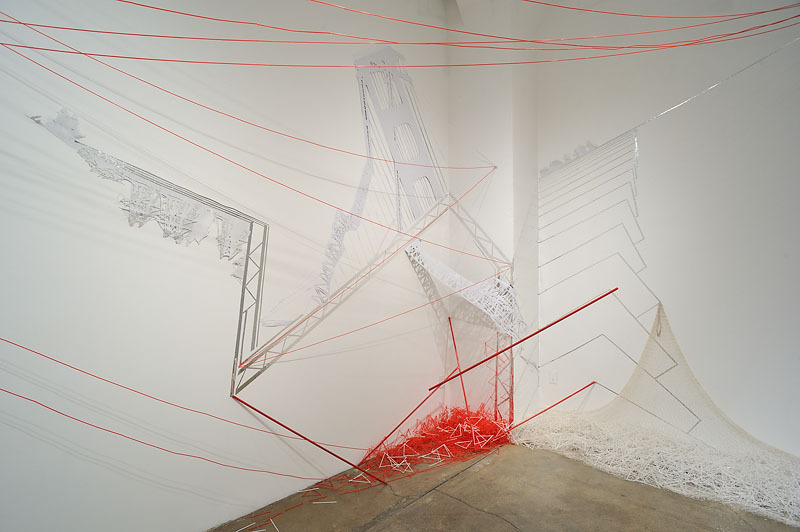 Installation by Abel Rodriguez at Catharine Clark Gallery.